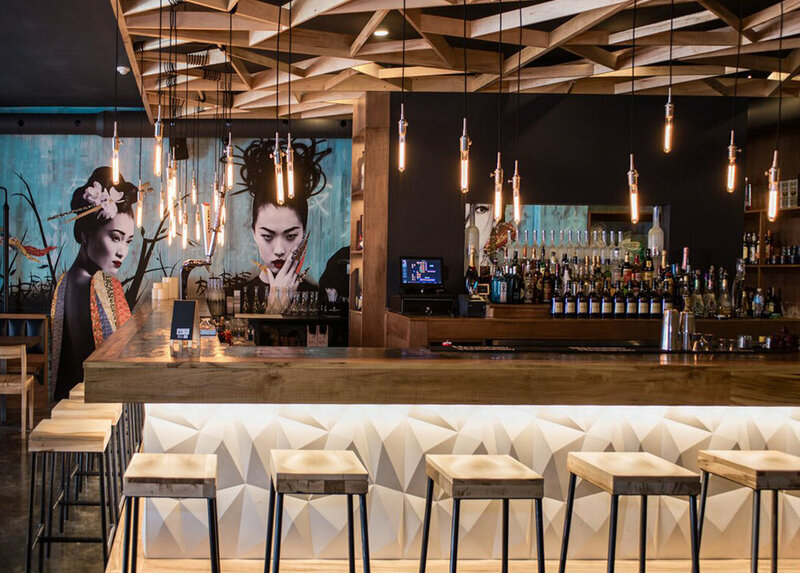 As Ottawa’s first Far East Pub, Tomo was designed to capture the quintessence of Japanese casual dining in a Canadian culture. From start to finish, collaboration was a constant theme of the project. Cultural inspiration from the partners and contractor counsel proved the project’s success. 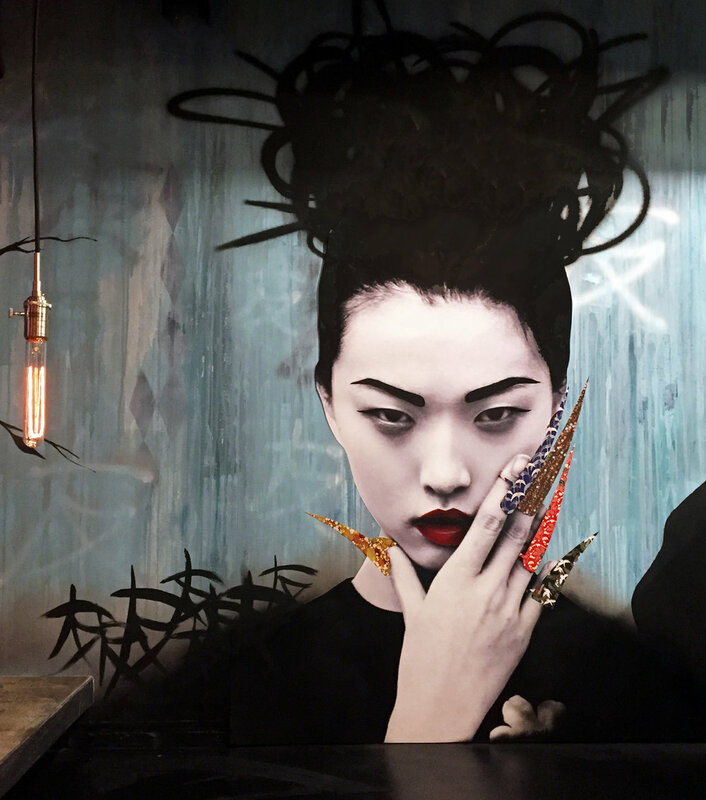 To continue this theme, Kayla teamed up with local artists Dems & Dolls to bring Tomo to life with a 65’ wall of Hush inspired Geishas. 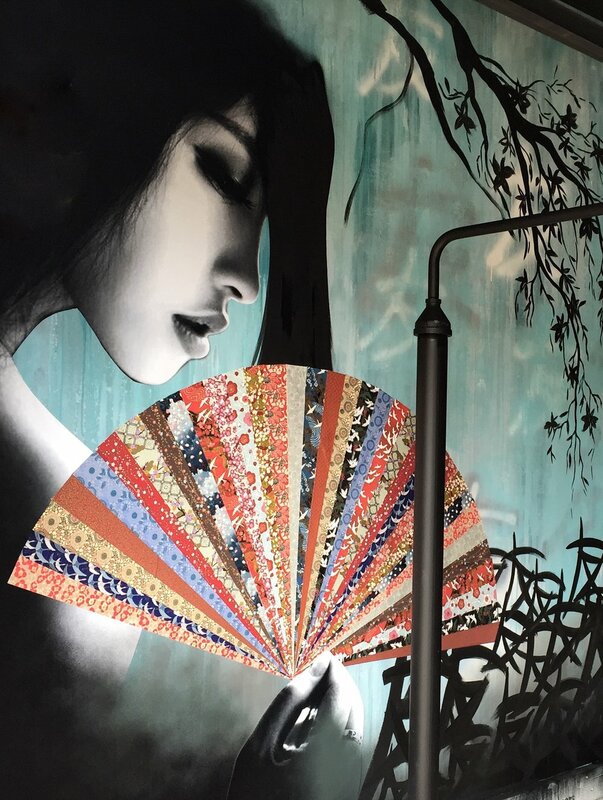 Enchanting photographed Asian women were transferred onto a Tomo tagged, street-art backdrop and tapestried with authentic origami paper. Hand-painted details were carefully added to dramatize their presence. 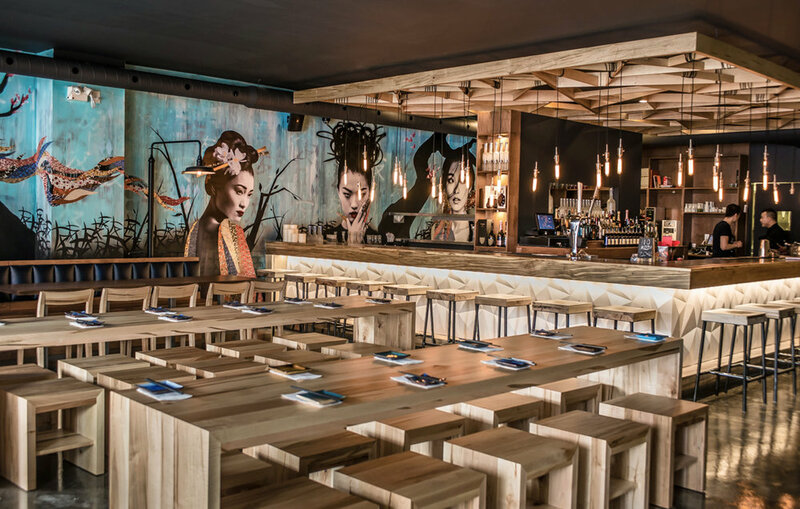 The alluring bar design was attentively designed and built on site. Working closely with contractor Ben Way from TC United, Kayla’s vision became a reality through communication, problem solving and thorough product research. The combination of simple materials such as concrete, maple wood, steel and plaster were assembled to form the centrepiece. As part of the grand opening, Kayla performed a live tag of Tomo’s logo to mark its presence on Clarence Street as the place that creates long-lasting memories and friendship.